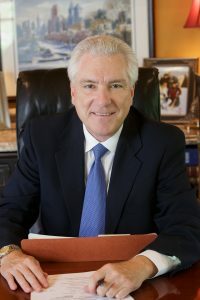 Are looking for top rated Philadelphia dog bite lawyers? We are Philadelphia Dog Bite Lawyers with 30 years experience handling dog related injuries. But don’t get us wrong… we love dogs. We even have a dog-friendly office policy. However, as much as we love our pooches, a dog can cause permanent scars or serious injury. Even a friendly dog may cause a person to fall and sustain injury. Every dog related injury is unique. Victims may suffer injury when they fall while running away from a dog that was chasing them. They may be knocked over by an aggressive dog. Even if you weren’t bitten, you may deserve compensation for your injuries if a dog wasn’t on a leash and caused injury to you. 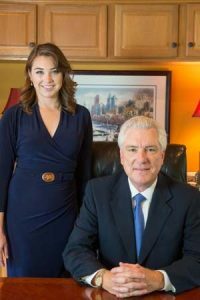 Philadelphia Dog Bite Lawyers can help victims of dog related injuries receive compensation for their injuries under Pennsylvania Law. Dogs may react when they feel threatened, scared, or want to protect their owners. Some are even trained to be vicious. Regardless of the circumstance, dog owners are responsible for the actions of their dogs. Owners must follow leash laws and dog bite laws for the area where they live and places they visit. Unfortunately, some dog owners are negligent of their responsibility as a dog owner. As a result, people are injured. Victims of a dog related injury have the right to recovery for their injuries. Generally speaking, homeowners insurance covers injuries caused by a homeowners' dog, even if the injury occurred off of the homeowners property. Therefore, if your dog gets loose and injures a neighbor down the street, your homeowner's insurance should cover the claim. However, if your dog injures your own child, or a child residing in your home, homeowners insurance will not cover the claim. Strict Pennsylvania Dog Laws are best handled by experienced Philadelphia Dog Bite Lawyers. Pennsylvania law imposes strict liability for all damages where the dog bite injury is severe or the dog previously engaged in dangerous behavior. Pennsylvania also imposes strict liability for medical bills even without bad behavior on the part of the dog or its owner. In other cases, victims can recover full compensation if the dog owner was negligent or violated an animal control law. In Pennsylvania, a dog bite injury victim is entitled to full compensation if the dog has previously bitten another person without justification or indicated a tendency to do so. If the dog has never bitten before, Pennsylvania dog bite injury law offers two different remedies that depend upon the degree of injury. Pennsylvania dog owners are liable for dog bite injury when a person is bitten, based simply on owning the dog that did the biting. Fortunately for all persons who are involved, the victim’s legal damages are covered by most homeowners and renters insurance policies purchased by dog owners, and by general liability policies that insure businesses and public entities. If you or your child is the victim of a dog bite injury, you deserve compensation for the medical bills, lost wages, scars, and pain and suffering. Pennsylvania law states that “no liability policy or surety bond issued pursuant to this act or any other act may prohibit coverage from any specific breed of dog.” (3 Pa. Cons. Stat. Ann. §459-507-A(d)). Is it legal for insurance companies to deny coverage if you own a pit bull” or other dangerous dog? The correct interpretation of the law is that an insurance company can refuse to do business with you if you own a dangerous breed of dog, however they cannot insure a home while expressly excluding coverage of a dog living in the home, regardless of the breed. In other words, the insurance company has to insure all of the home, including the dog, no matter the breed of dog, or not insure the home at all. However, insurance companies can raise premiums to account for the risk of harm created by the existence of a certain breed of dog. Is it legal for apartment buildings to forbid certain breeds of dogs? When an insurance company is contracting with a conglomerate corporate rental property, the parties may agree that there be no pit bulls housed in the communal residential area. What is considered a dangerous dog in PA? In Pennsylvania, (with the exception of Marple township and borough of Glenolden*), a pit bull is not automatically considered a “dangerous dog.” A dangerous dog is defined generally as a dog that has attacked a person or domestic animal without provocation*. If you own a dog that is by definition considered a “dangerous dog”, then Pennsylvania requires owners to have liability insurance of at least $50,000. *Check with your township to confirm their determination of a dangerous dog. Inflicted severe injury on a human being on public or private property? Killed or inflicted severe injury on a domestic animal while off the owner’s property? No - You Have A Dangerous Dog. YES - You DO NOT Have A Dangerous Dog. I have been a Pennsylvania homeowner for more than 60 days, and just adopted a pit bull… but she’s not considered a “dangerous dog” by law. Is my insurance company going to cancel my policy? No. But the insurance company can raise your premiums. In a ruling on whether canceling a policy based on a dog’s breed is an unfair insurance practice, Pennsylvania case law holds that a dog’s breed does not justify canceling or not renewing a policy unless there is proof that the particular dog creates a “substantial increase of hazard” in the risk assumed by the insurer (i.e. there is evidence that the particular dog in question is actually a “dangerous dog”) (40 P.S. §1171.5(a)(9)).. Again, this does not mean the insurance company will not underwrite the risk associated with a dog that does not meet the definition of a “dangerous dog”… the insurance company just can’t cancel a consumer’s policy that has been active for 60 days or refuse to renew it. I don’t live in Pennsylvania, own a pit bull, and am having a hard time finding an insurance company to not give me an exclusion. What insurance companies are dog breed friendly? 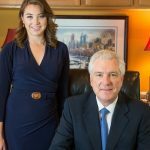 Fox Law Philadelphia Dog Bite Lawyers Welcome the Opportunity to Represent You. Fox Law Philadelphia Dog Bite Lawyers welcome you to contact us for a prompt and free consultation regarding your dog injury claim. No case is too big or too small for an evaluation. 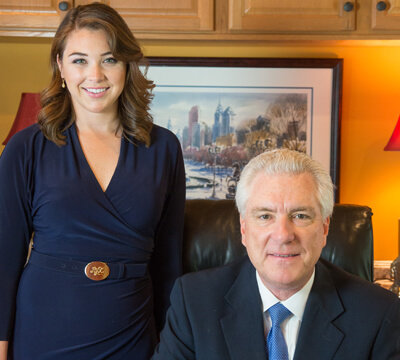 Fox Law Philadelphia Dog Bite Lawyers welcome the opportunity to represent you. In your consultation, your case will be discussed and the facts will be reviewed and evaluated. If Fox Law accepts your case, it will be handled on a contingency basis, which means you pay nothing. We carry all of the costs and assume all of the risks when we accept your case.